Back pain is a common ailment for many and it can really affect your well being and lifestyle. Back pain can be caused by poor posture, age, weight, sports, and hereditary factors, to name a few. With the typical American working a 9-5 job, it is not hard to see why back pain is an issue. Stop hunching over a computer and try out these yoga poses to help relieve your back pain. This pose massages your spine and belly organs while stretching your back torso and neck. Start on your hands and knees and center your head in a neutral position with eyes on the floor. Exhale and round your spine toward the ceiling and release your head to the floor. Inhale and lift your pelvis and chest towards the ceiling, allowing your belly to sink to the floor. You can switch between these poses on an inhale and exhale. This post energizes the body while also stretching the shoulders, hamstrings, calves, arches, and hands, and strengthening the arms and legs. Downward-facing dog can help relieve headache, insomnia, back pain, and fatigue. Start on your hands and knees. Exhale and lift your knees away from the floor and pelvis towards the ceiling. Keep your knees slightly bent and your heels off the floor. Exhale again and push your thighs back and stretch your heels as close as you can get towards the floor. This pose is grouped under the baby backbends , so be careful that you are not pushing yourself so hard that it causes injury. The locust post can strengthens the muscles of the spine, buttocks, and backs of the arms and legs, while also stretching the shoulders, chest, belly, and thighs. This post improves posture, stimulates abdominal organs and helps relieve stress as well. Start on the floor on your stomach with your arms to your side, palms up. Exhale and lift your head, upper torso, arms and legs off the floor, resting on your lower ribs, belly and front pelvis. Firm your buttocks and stretch through your legs and arms. Keep your head slightly forward, but do not jut your chin forward and crunch the back of your neck. Stay for 30 seconds to a minute and release with an exhale. This pose strengthens and stretches the legs and ankles, while also stretching the groin, check, lungs and shoulders. Warrior II stimulates abdominal organs, increases stamina, relieves backaches and is therapeutic for carpal tunnel syndrome, flat feet, infertility, osteoporosis, and sciatica. Start in mountain pose and then exhale and step your feet 3.5 to 4 feet apart. Raise your arms parallel to the floor and reach them out to the sides, palms down. Turn your right foot slightly to the right and your left foot left 90 degrees, keeping both feet aligned with each other. Exhale and bend your left knee over your left ankle, with your shin perpendicular to the floor or parallel if possible. Turn your head to the left and look out over your fingers. Stay in this pose for 30 seconds to 1 minute and come up on an inhale. Repeat the same for the other side. This pose strengthens the spine and stretches the chest, lungs, shoulders and abdomen. Sphinx pose firms the buttocks, stimulates abdominal organs and helps relieve stress. Lie on your belly with your legs together, then rotate your outer thighs inward by rolling your outer thighs toward the floor. Reach your toes behind you with the tops of your feet facing the floor. Sit up on your elbows, forearms on the floor parallel to each other. Lift up your upper torso and head away from the floor. Bring your lower belly away from the floor. Stay in this pose for 5 to 10 breaths, exhale and release your belly. Lower your torso and head to the floor. Turn your head to the side and release any tension you feel. This pose strengthens and stretches the inner legs, the back legs and the spine. Wide-legged forward bend also tones the abdominal organs, calms the brain and relieves mild backache. 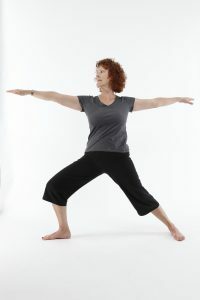 Stand in mountain pose and then step your feet 3 to 4.5 feet apart. Rest your hands on your hips and keep your feet parallel to each other. Exhale and lean your torso forward. Press your fingertips onto the floor below to your shoulders. Keep your elbows extended and slightly bend your back so that it is concave. Take a few breaths. This pose can be extended by resting on your forearms. You can also make your torso straight into a full forward bend. Stay in this pose for 30 seconds to 1 minute, then place your hands on the floor below your shoulders. Inhale and back your legs back, bringing your body up and resting in the mountain pose. Still experiencing back pain? Give Erie County Chiropractic a call!